Marine Stewardship Council is the world’s leading eco-labelling program for sustainable seafood, which well known to shoppers buying pre-packed seafood. 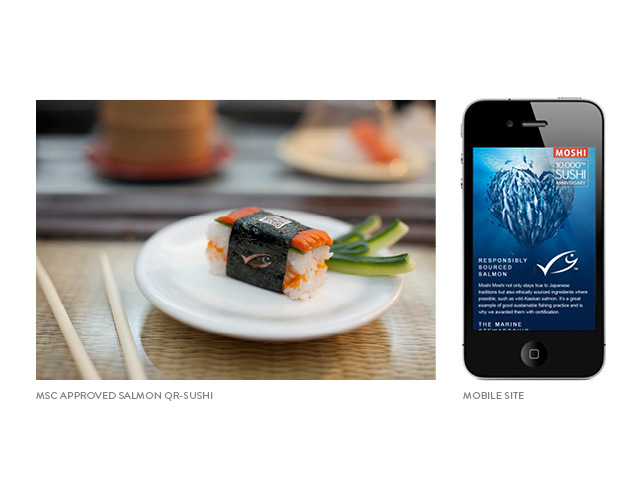 Their goal is to raise awareness of the eco-label amongst diners and the restaurant trade. Cheque Dejeuner will start to offer lunch vouchers to restaurant visitors in Toulouse from September 5th. By scanning the QR code the user access a personalized restaurant’s page where will find contact information, menus, offerings, etc.. , Much information updates directly by the restaurant. The user can also navigate to a page explaining the generic Cheque Dejeuner services. 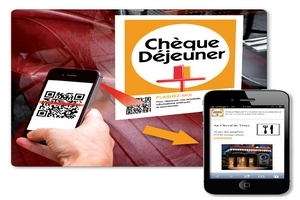 The Cheque Dejeuner application offers several services such as geolocation for restaurants you and various other information. 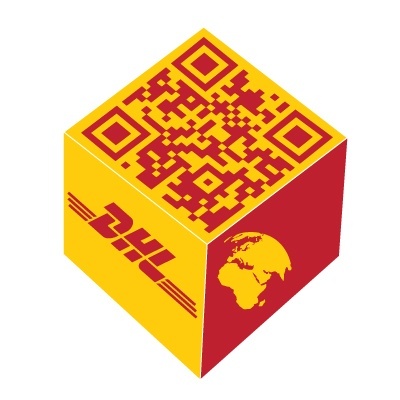 DHL use QR codes in creatives to lead Israelis people who scan it to its site. Although they didn’t follow the simple rule that content should be mobile formatted, it is nice to see another company of that size adopting QR codes in their creatives. The creative is done by QaReFun. 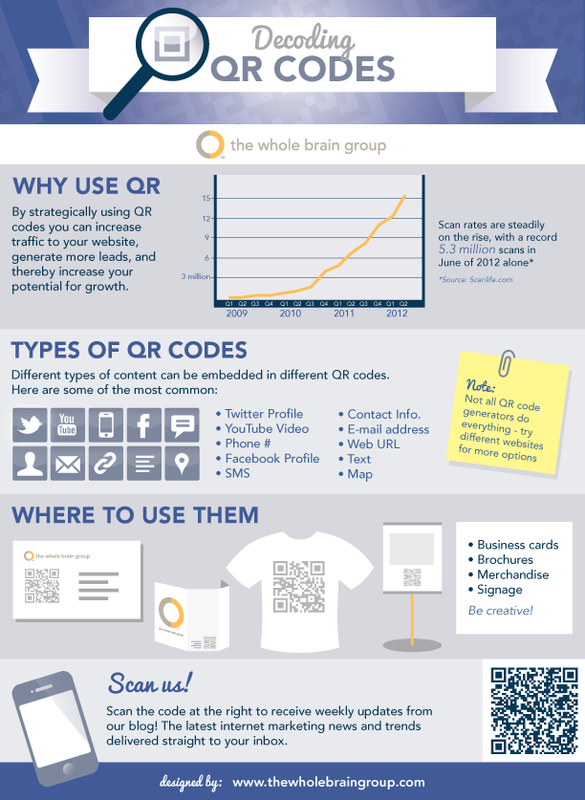 Here is example how you can engage your customers with QR codes. 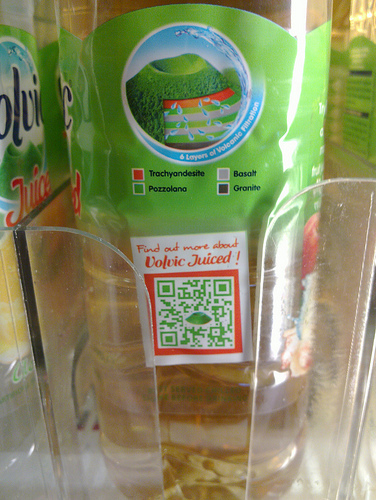 Volvic, a juice producer, has printed QR codes on the packaging of the juices which when scanned forward you to their mobile site where you can play interactive game. 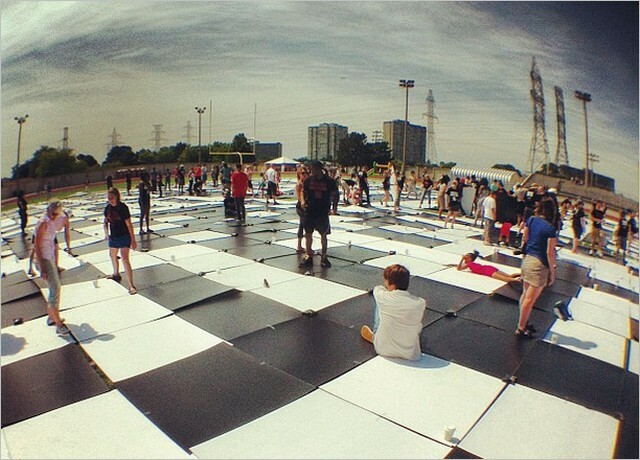 Scan it for yourself to get idea of their implementation. 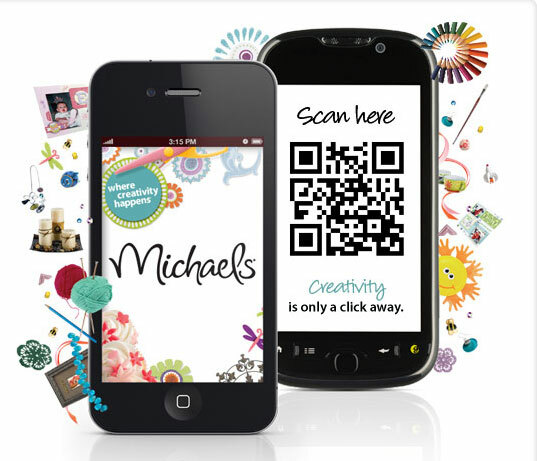 Sportsgirl, an Australian multichannel retailer, has launched a window shop with QR codes. Sportsgirl products are displayed on the shopfront’s windows, and customers can scan the product’s QR code with their smartphone or iPad to make an immediate purchase. It is a true 24/7 shopping experience which can be updated to feature the latest styles and providing customers with a greater choice nationwide. The 2012 Olympic Games in London will start soon and we are happy to see that National Rail use QR codes to let you plan your train trips. 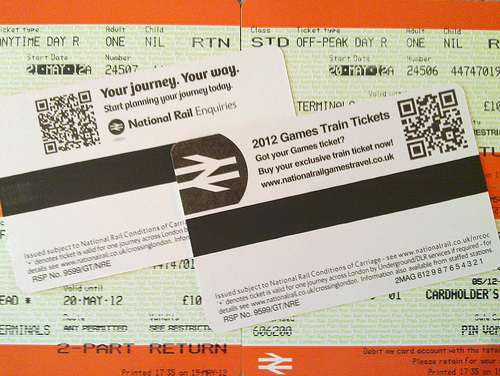 If you have ticket for the Games they let you buy exclusive train ticket after scanning the QR code. 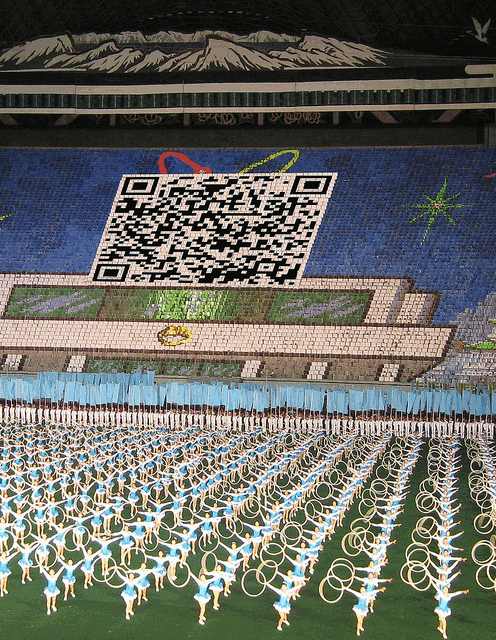 Here is how North Korea innovates and use QR code during the yearly Arirang festival. It is amazing to see how even countries considered as low tech are in love with QR codes and use them.